So wanted to just rave about the adaptability of the runners harness set up. I have been "rucking" this summer as my wife can join me since she hates running as well as the kids, they just jump on their bikes and kinda cruise along so i am allowed to go, its great that i have buy in from the other six members of my family. Sorry i digress. 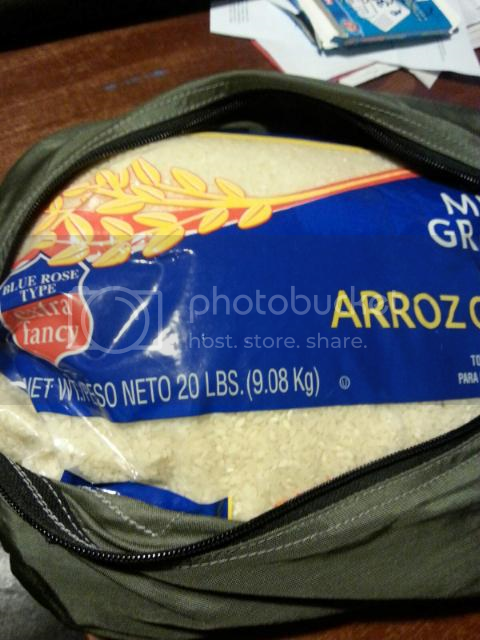 I have used a few different packs in the 900-1500 CC range and one of the standard test that quickly tells me if its gonna be a comfy carry is carrying a 20lbs bag of rice in a xl kifaru pull out. Today carried the usual in the kit bag with the exception of my glock 34, in its placed I carried my father in laws 1981 2 inch S&W 38 snubby, thing is like 5lbs :) and in the the tara the 20 lbs bag of rice and attached to the bottom of the tara a docked kifaru mid long pocket containing medical kit and my snugpack rain poncho. I would say everything was about 25lbs. It carried amazing, only issue was the plastic carabiners at the bottom of the kit bag dug into my stomach a bit on the way back, so any suggestions on a fix for that let me know. Walked three miles to a long set of stairs, and a nice hill to run, five sets of each with squats in between each set and it was stable and pretty comfy and than 3 miles back. Man I love this set up. 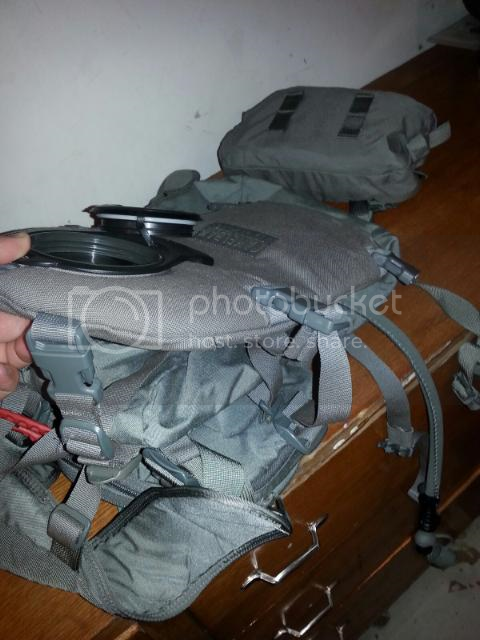 When just doing day hikes I load up the tara and kifaru pock at the bottom and attach a camelbak 3l hot shot I modded with dock n lock type hard ware and it mounts right to the compress straps. I did want to note that I have a cut down blackhawk frame sheet slid into the tara for more support. Has anyone ever ridden a horse with the runners harness kit bag and tara? Looks like the ultimate solution to me? How about on a bicycle? Should be about the same as riding a horse? I know Evan and Scot ride bikes. I have ridden a horse a couple of times with a regular Tara harness. The only issue is the length of your torso and the bag and how high your cantle is. I have a long enough torso that the bag was above the cantle. I am not sure if that would be your case so it might mess with the hang of the bag. Might be an issue might not be I can't say. I have ridden a bunch of miles on a bike with the Runner's Harness with a Tara and even a few times with an Umlindi. Great setup if you are content to not be able to use the two items separately. I ultimately stopped doing it because I missed the flexibility of being able to use them separately. Good info Scot........ I would like to hunt with this rig on foot.......how hard is it to take the Tara off and put it back on or is this even possible? You have two choices to use the Tara separately. First you can unthread the two straps at the top of the kit bag, make loops and then clip in the lower straps. Some folks find this comfortable, but I don't. The other choice is unthread the lower straps and top straps from the Tara and then re-attach the regular shoulder harness. My recommendation, if you want to use them separately on a regular basis the Runner's Harness is not for you. It is not particularly quick to do either of the above. If you run the regular harness and a kit bag with its regular harness you can use them together using the lifter straps or separately, and it takes seconds. The choice is yours. Can you the harness from the Tara ? 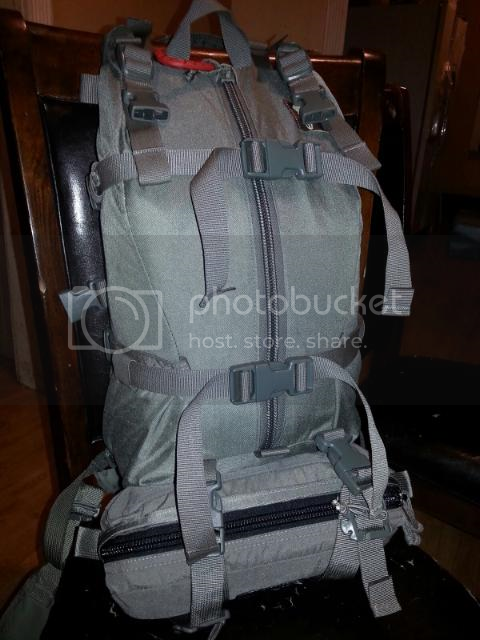 No the Runner's Harness replaces both the Tarahumara harness and the kit bag harness. If you haven't used the Tara harness yet, and are sure you want a Runner's Harness we can swap you out, you will just need to pay shipping. Sooo, would you say, the harness combined with the runner's kit bag would be a in even more comfortable solution for running long distances? Phil, minimizing the weight carried, friction points and maximizing your body's ability to thermo-regulate are the priorities. If you have the need to carry water/food/insulation while running than the Runners Harness system is outstanding and once dialed in is very comfortable. I would say that if you don't need the extra gear capacity the Runners Kit Bag with the stabilizer straps would be more comfortable as your back would be able to breathe. The Runners Harness does a great job of balancing weight between a Tarahumara and a Kit bag. What gear do you like to carry while running? Hi Nick, thanks a lot for your clarification. I was mistaken that the harness would be just more comfortable on the shoulders and didn't think about breathability. Yes, I need water while running, which I have on my belly belt (my dog is on the leash on that belt), also some Powergels, some dog biscuits (not for me). in the runner's kit bag I have my iphone, keys, knife, gun and spare magazine. Did the runner's harness get discontinued? Proud new owner of a Tarahumara backpack. I’m impressed with how well made it is. I got it to carry water and about 10-20 lbs of gear while jogging. Specifically, I hope to use it in a 10K biathlon running/jogging (as opposed to skiing) with obstacles thrown in throughout (wall climbs, water crossings, crawling, etc.) and several target shooting stages. Hence, the need to carry gear (ammo, spare mags, etc,). 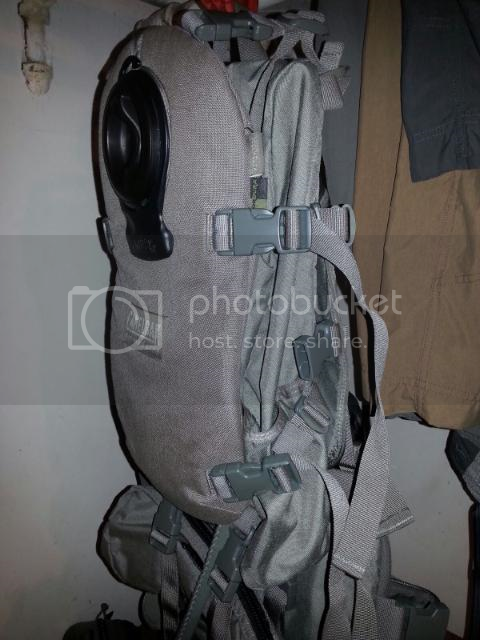 I understand the running harness has been discontinued, but I’m wondering if there’s any kind of belt or waist harness available that can be used to minimize the Tarahumara pack from flopping and banging against my lower back while jogging? It could be that I just have it setup wrong or too loose, which is causing the banging, but I’ve tried adjusting it a few different ways to no avail. So is there a belt/waist strap available for the Tara? If not, anyone know of a different brand belt/waist strap that might work instead? I emailed them with the same question. I purchased the top compression straps they had recommended. It works well to keep the bag tight while riding a mountain biking. Thanks for the reply. I’ll have to look into these top compression straps. I hope they’ll work for the issues I’m encountering. First issue is that the bottom of the Tara pack flaps outward and then bangs into my lower back with each stride while running or jogging. I tried cinching it down tight, which helps somewhat, but by cinching it up, it raises the ride height of the pack upward along my back. I’m trying to keep the weight lower closer to my hips and waist area, though. The other issue is that the pack also tends to bounce up and down with each running/jogging stride. When it does that, the shoulder harness digs into my upper traps and shoulder area with the weight of the pack. Obviously, the lighter the weight and the slower I jog or walk, the less this occurs. But since I’m trying to run and jog with gear in it, it becomes an issue. Cinching it up tight alleviates the issue somewhat, but doesn’t eliminate it entirely. And it also raises the ride height of the pack as mentioned earlier. Anyway, I’ll keep playing around with it to see if I can adjust it to my own needs. I may borrow the waist strap of another backpack I have to see if it’ll also work.